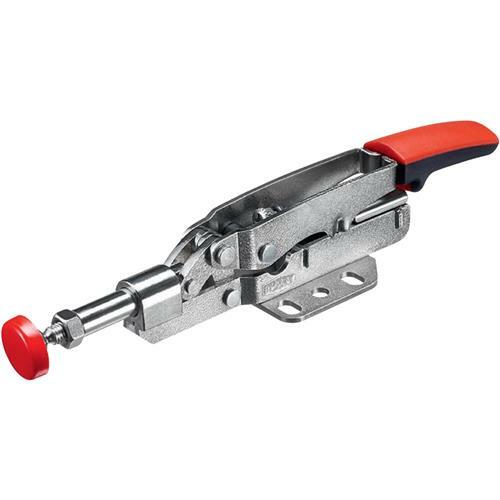 The Bessey Auto-Adjust Toggle Clamp offers a range of clamping force and clamping height. It can replace a range of competitive clamps for quicker set ups, smaller tool cribs, and consolidated inventories. This inline clamp auto-adjusts to variations in work piece height from 0-3/8" (0-10 mm) and integrated pressure screw allows clamping force adjustment from 25-250 lbs. Holding capacity up to 450 lbs. and has a large ergonomic handle for ease of use.